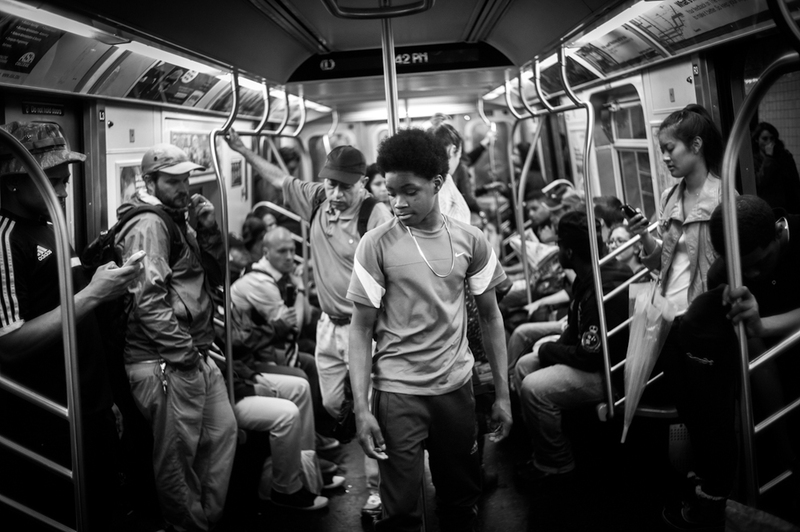 While commuting between Manhattan and Brooklyn on the L train, you might come across Kaheen and his group of acrobatic dancer. 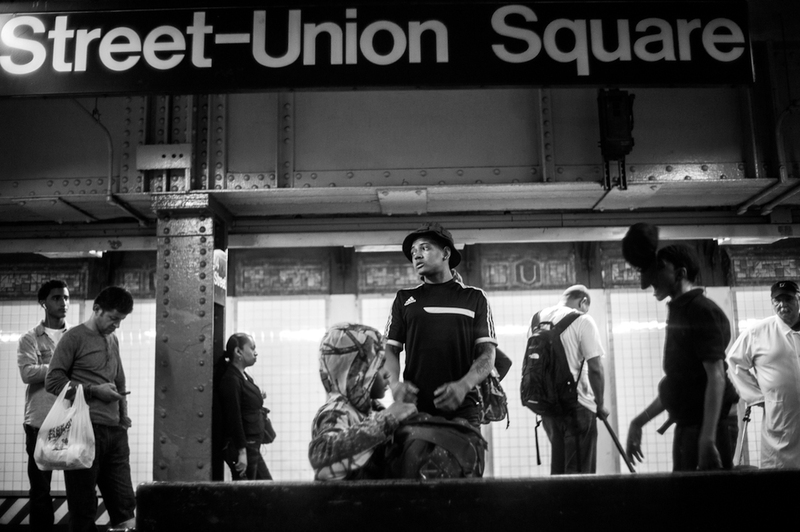 Almost everyday, they come from Brooklyn and Queens and ride the L train between Union Square and Bedford. " This is where people give the most ! On good days we make about a 100 dollars " say Kaheen. 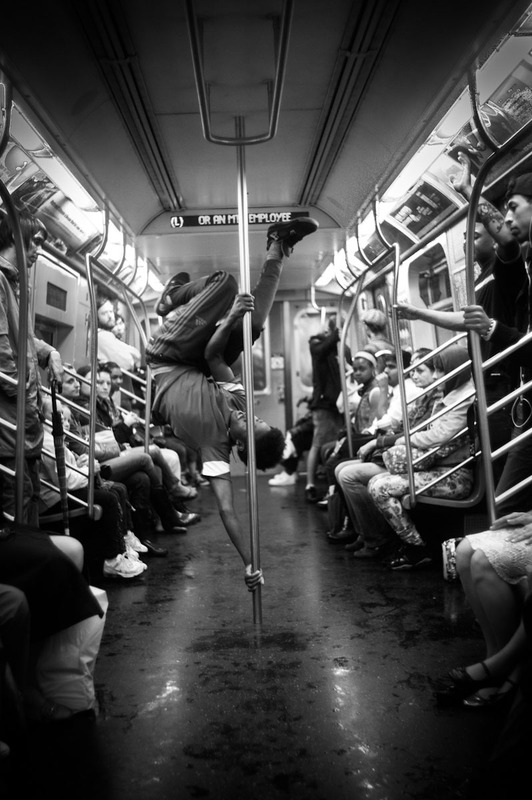 Their performance take train in the middle of the commuter - using train bars and handles, each of the group member dance to the rhythm of the music making impressive acrobatic moves. Here is a few photos taken during one afternoon commuting together with them.